When we look at an image, the image is not the subject it depicts, just as surrealist artist Rene Magritte’s “pipe” is not a pipe. What we see creates an entirely new sensation. Examining an image can be like tracing dragons and ships in the clouds. The experience of climbing a mountain can be like studying a picture. From up there, we read the world as visual poetry created by the lines and shapes of unidentified objects. Our focus is redirected. As we face significant altitude, we also rediscover our acquaintance with the earth and air that feeds us. The heightened perspective awakens a grounding humbleness we rarely feel elsewhere. 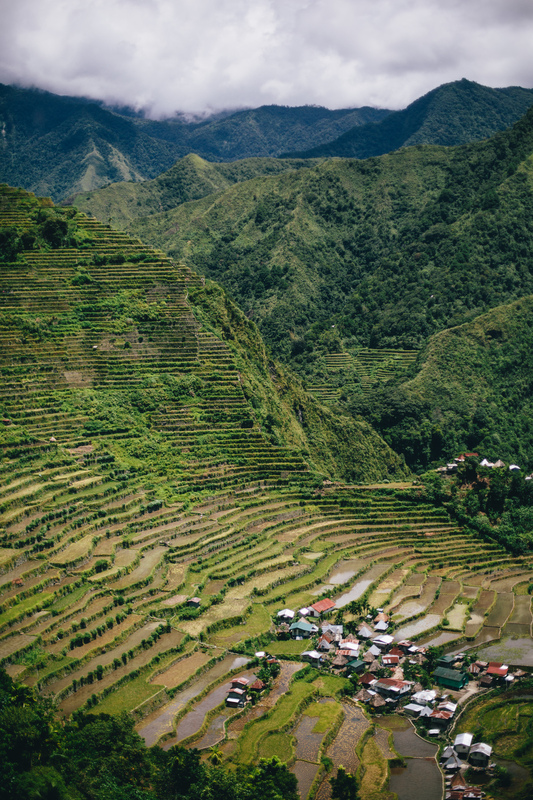 A few months ago, I visited the Banaue Rice Terraces in the Philippines with a group of other photographers. Rain clouds hugged the mountains as sweat clung to our faces. We lingered to snap images and paused to gaze toward the miles of green, before our guide ushered us on until we reached Tappiya Falls. The mountains that stretched before us were make-believe. We were in a children’s adventure story. We were like birds, looking down at our prey, watching our young, and searching for food. The mountains, the gleaners, and the specks of rooftops were splashes of yellow, green, and red. The land became geometry and color. Rocks transformed into fascinating objects as we saw them in the grander scheme of a mountainside, and distant gleaners became silent mobile shapes that we observed without hindrance. Though the mountains visually distanced our perceptions, our intimacy with the world deepened. We grew aware of the land and air as living presences. The sun snatched away the water from our damp clothes. From a distance, the gleaners’ smiles and henley t-shirts looked the same as the ones we wore. The patterns within a single leaf and the layers composing a hillside melded together in tangible green. The intricacy of the details within the magnitude of the mountains held significance. 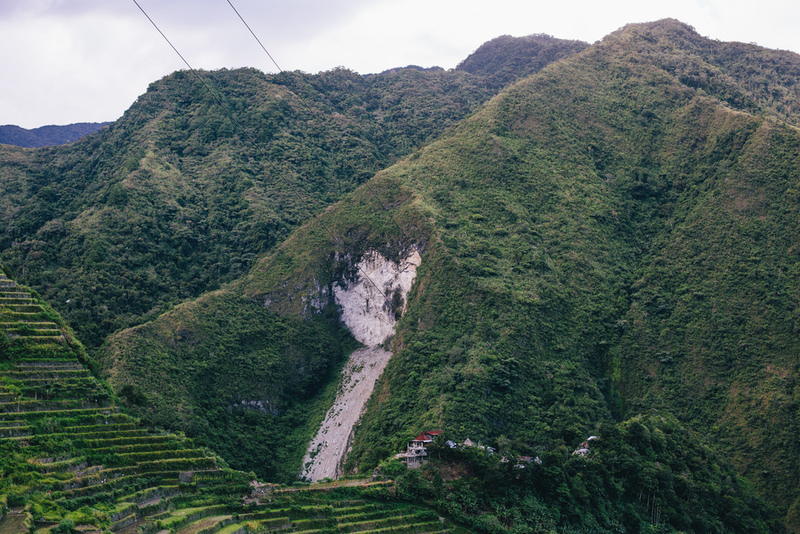 Our bodies were a part of the Banaue Rice Terraces, just as the Banaue Rice Terraces are part of the Philippines, just as the Philippines are part of the same Earth as our home, thousands of miles away. 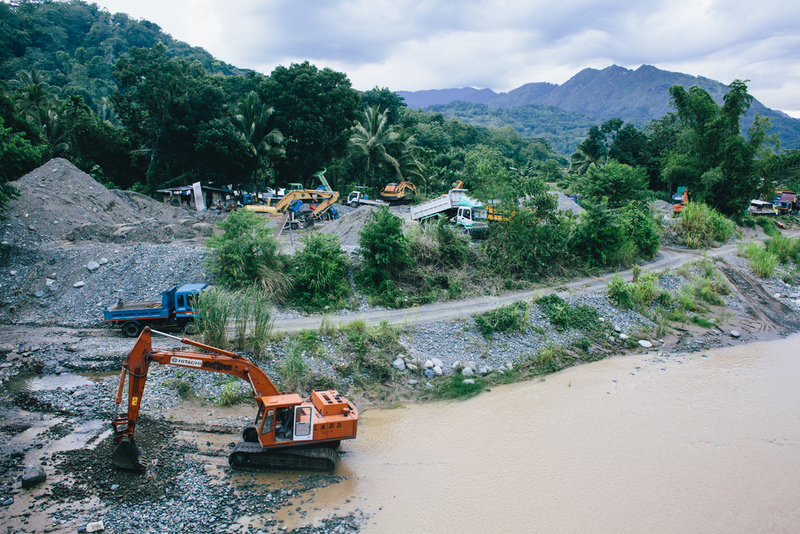 Susan Sontag noted, “In teaching us a new visual code, photographs alter and enlarge our notions of what is worth looking at and what we have the right to observe.” As with photographs, mountains shift our assumed perspectives by giving us an aerial view of the world. We look upon the world with new eyes; eyes that observe what we commonly miss. Our souls are fed by its magnitude and our part in it.